Recent changes in the United States’ immigration policies have drawn fresh condemnation from human rights experts and civil society, particularly as news spread that authorities had separated approximately 2,000 children from their parents at the country’s southern border. [IACHR Press Release; OHCHR Press Release; UNHCR Press Release] These changes include automatic criminal prosecution and detention of adults – including asylum seekers – entering the United States without authorization, separation and detention of children who crossed the southern border outside a port of entry with their parents, and a directive instructing immigration officials not to recognize a State’s failure to protect victims of gang violence and domestic violence as grounds for asylum. In response to criticism earlier this month, President Trump signed an Executive Order on June 20, 2018 to detain children and parents together, but that also raised concerns because it did not address the reunification of separated families and proposed modifying time limits on detention of families. [OHCHR Press Release: UN Experts] The policy changes add to long-standing human rights concerns related to U.S. immigration policy. This post reviews 10 of the primary principles implicated. Human rights bodies have criticized the criminalization of irregular migration, which has increased under the Trump administration’s “zero tolerance” policy mandating the criminal prosecution of unauthorized entry. [IACHR Press Release; NYTimes: Migrant Children]. U.S. law provides that unauthorized entry to the U.S. is punishable by a fine or by up to six months’ imprisonment for a first-time offense and up to two years for subsequent entries. See 8 U.S.C. § 1325. Criminal prosecutions have markedly increased during the Trump administration, pursuant to “zero tolerance” and prior directives that resulted in more prosecutions of first-time unlawful entries and the targeting of particularly vulnerable migrants and asylum seekers. See, e.g., Human Rights First, Punishing Refugees and Migrants (2018). The UN Committee on the Elimination of Racial Discrimination (CERD) has specifically recommended that the U.S. treat irregular immigration as a civil matter, rather than a criminal matter. See CERD, Concluding observations on the combined seventh to ninth periodic reports of the United States of America, UN Doc. CERD/C/USA/CO/7-9, 25 September 2014, para. 18. Similarly, the UN Special Rapporteur on the human rights of migrants and Working Group on Arbitrary Detention have both stated that criminal prosecution of migration offenses contravenes human rights standards. See Statement by the UN Special Rapporteur on the human rights of migrants, PGA Plenary Session – Criminalization of Migrants, 2 October 2013; Report of the Working Group on Arbitrary Detention, UN Doc. A/HRC/7/4, 10 January 2008, para. 53. See also Human Rights First, The Rise in Criminal Prosecutions of Asylum Seekers (2017). The United States is the only country in the world that has not ratified the UN Convention on the Rights of the Child, which requires in its Article 3 that authorities prioritize the “best interests of the child” in actions that affect minors. Nonetheless, this standard applies to the U.S. by virtue of other human rights commitments it has undertaken. For example, the IACHR has clearly stated that the U.S. has an international legal obligation to respect the “principle of the best interest of the child” in its immigration policies and enforcement decisions. See IACHR, Human Rights Situation of Refugee and Migrant Families and Unaccompanied Children in the United States of America (2015), paras. 7, 8, 46-53.
International human rights law provides that adult migrants may be administratively detained only in limited circumstances, and that migrant children generally should not be detained. For example, in its 2014 report on a visit to the U.S., the UN Working Group on Arbitrary Detention noted that “such detention is to be a measure of last resort, necessary and proportionate and be not punitive in nature, and that alternatives to detention are to be sought whenever possible.” See Working Group on Arbitrary Detention, Report of the Working Group on Arbitrary Detention on its visit to the United States of America (2017), UN Doc. A/HRC/36/37/Add.2, para. 21. An individual may not be indefinitely detained, even if the State is unable to deport him or her. See Human Rights Committee, General Comment No. 35: Article 9 (Liberty and security of person), UN Doc. CCPR/C/GC/35, 16 December 2014, para. 18. Detention must be subject to judicial review to ensure these conditions have been satisfied on an individual basis. See Report of the Working Group on Arbitrary Detention on its visit to the United States of America, UN Doc. A/HRC/36/37/Add.2, paras. 26, 29. The same requirements apply to asylum seekers who enter unlawfully. See Human Rights Committee, General Comment No. 35, para. 18. Human rights bodies have interpreted the “best interests of the child” standard to mean that detention of child migrants is generally not permissible. See Working Group, para. 42. The UN High Commissioner for Refugees (UNHCR) guidelines indicates that minor asylum seekers “should not be detained.” See UNHCR, UNHCR Revised Guidelines on Applicable Criteria and Standards relating to the Detention of Asylum Seekers (1999), Guideline 6 (emphasis in original). The UN Human Rights Committee has stated, “Children should not be deprived of liberty, except as a measure of last resort and for the shortest appropriate period of time, taking into account their best interests as a primary consideration…” See General Comment No. 35: Article 9 (Liberty and security of person), UN Doc. CCPR/C/GC/35, para. 18. Moreover, in the words of the Working Group on Arbitrary Detention, “when the child’s best interests require keeping the family together, the requirement not to deprive the child of liberty extends to the child’s parents and family members,” meaning that family detention is not permissible in this instance. See Report of the Working Group on Arbitrary Detention on its visit to the United States of America, UN Doc. A/HRC/36/37/Add.2, para. 46. See also IACHR, Report on Immigration in the United States: Detention and Due Process (2010), paras. 49-51. Deterring immigration is not a permissible justification for detention under international human rights law, nor is private profit. See Report of the Working Group on Arbitrary Detention on its visit to the United States of America, UN Doc. A/HRC/36/37/Add.2, para. 43. The Working Group on Arbitrary Detention has expressed concern at the apparent economic incentive for increasing detention of migrants, given that many detention facilities are privately-owned or -operated and are required by U.S. law to maintain certain occupancy rates. See id. at para. 31. See Human Rights Committee, Concluding observations on the fourth periodic report of the United States of America, UN Doc. CCPR/C/USA/CO/4, 23 April 2014, para. 11; Basic Principles on the Use of Force and Firearms by Law Enforcement Officials, art. 9.
International law, including the 1967 Protocol to the 1951 Convention Relating to the Status of Refugees, protects individuals’ right to seek asylum. This includes the opportunity to request asylum, due process in determination of that claim, and freedom from arbitrary detention or prosecution. Asylum seekers must not be criminally prosecuted for requesting asylum, no matter whether they enter the country without authorization. [Just Security] In its 2014 report on the U.S., the UN Committee Against Torture expressed concern at reports that immigration authorities were failing to provide asylum screening interviews and had made the grounds for asylum more restrictive. See Committee Against Torture, Concluding observations on the combined third to fifth periodic reports of the United States of America, UN Doc. CAT/C/USA/CO/3-4, 19 December 2014, para. 18. The prohibition on torture, cruel, inhuman or degrading treatment or punishment is firmly established in international law. In the detention context, this prohibition extends beyond acts of physical violence to also require that conditions of detention are appropriate and humane, and access to medical care, adequate food and water, opportunities for recreation, and other basic needs. See, e.g., IJRC, Torture; IACHR, Principles and Best Practices on the Protection of Persons Deprived of Liberty in the Americas. Recent reports have indicated that child migrants in U.S. detention facilities have been forcibly medicated, abused, and denied adequate food and water. [HRW; HuffPost; NPR] Amnesty International has condemned the family separations as torture. [Amnesty] Similarly, in its 2014 report on the U.S., the Committee Against Torture expressed concern about immigration detention centers for children, noting “reports of substandard conditions…the use of solitary confinement… [and] reports of sexual violence by staff and other detainees.” See CAT, Concluding observations on the combined third to fifth periodic reports of the United States of America, UN Doc. CAT/C/USA/CO/3-5, 19 December 2014, para. 19. The principle of non-discrimination is enshrined in all human rights treaties, and protects all persons within a State’s territory or control from being denied fundamental rights on the basis of their race, ethnicity, or gender, among other factors. This principle is considered a jus cogens norm that binds all States. See I/A Court H.R., On the Juridical Conditions and Rights of Undocumented Migrants, Advisory Opinion OC-18/03, 17 September 2003, para. 173(4). Within the U.S., racial profiling by police and immigration enforcement authorities have raised human rights experts’ concern for years. 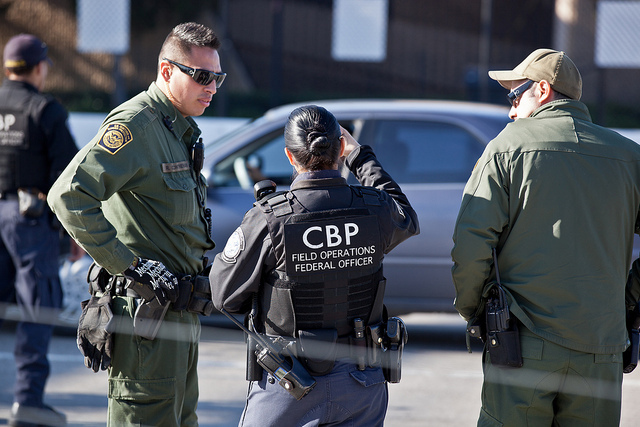 The Committee Against Torture, for example, has drawn attention to authorities’ excessive use of force and racial profiling targeting immigrants. See Concluding observations on the combined third to fifth periodic reports of the United States of America, UN Doc. CAT/C/USA/CO/3-5, para. 26. The Committee on Elimination of Racial Discrimination raised similar concerns. See CERD, Concluding observations on the combined seventh to ninth periodic reports of the United States of America, UN Doc. CERD/C/USA/CO/7-9 25 September 2014, paras. 8, 17. President Trump has repeatedly referred to migrants in derogatory and racist terms, and human rights monitors have warned against rhetoric and policies rooted in xenophobia or discrimination. [IJRC: High Commissioner; IACHR Press Release: TPS; IACHR Press Release: Defenders] Nonetheless, the Trump administration prevailed yesterday before the U.S. Supreme Court, which upheld his revised Executive Order instituting what was widely referred to as a “Muslim ban.” IJRC and other organizations have successfully sought human rights oversight of this policy, which the IACHR condemned as discriminatory and said required urgent action to resolve. International human rights law recognizes the right to respect for family life, including the rights to create a family and to receive State protection for the family. See, e.g., American Declaration of the Rights and Duties of Man, art. VI. For example, in a case concerning the U.S., the IACHR held that the government is legally obligated to take into account a migrant’s family ties and the impact on family members in deciding whether to order the migrant’s deportation. See IACHR, Merits Report No. 81.10, Case 12.562, Wayne Smith, Hugo Armendariz, et al. (United States), July 12, 2010. Visit IJRC’s Online Resource Hub for more information on immigration and migrant’s rights, asylum and refugee law, children’s rights, and the United States’ international human rights obligations. See the relevant pages for explanations of the mandates and procedures of the IACHR, Human Rights Committee, Committee Against Torture, UN Special Rapporteur on the human rights of migrants, UN Special Rapporteur on torture, UN Working Group on Arbitrary Detention, and other human rights courts and monitoring pages. For materials related to IJRC’s 2016 training on the Human Rights of Migrants, visit the public Dropbox folder. To stay up-to-date on international human rights news, visit IJRC’s News Room or subscribe to the IJRC Daily.